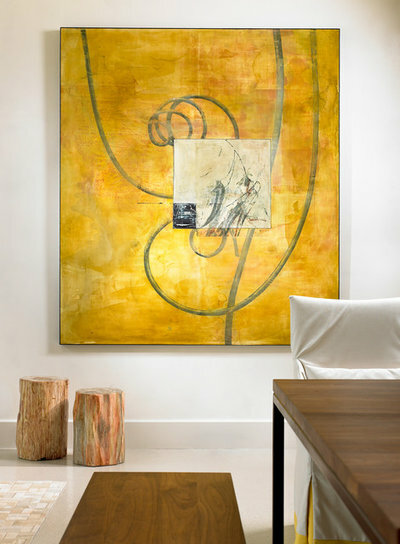 Art can pull a room together, although the right ways to display it can seem elusive. We hope the art we display does not feel like an accessory to the furniture. We want it to reflect a sense of our tastes and deeper selves. And so searching for the right piece — and the right place for it — can be intimidating, a challenge that we put off. Here’s help so you can rise to the challenge. A mixture of paintings, photographs and sculpture collected over time and travels weaves a layered tapestry about one’s interests and aesthetic. Think about which medium you prefer and where your tastes lean before you start shopping. The goal is to pinpoint pieces that mean something to you, not simply choose decor to fill wall space. 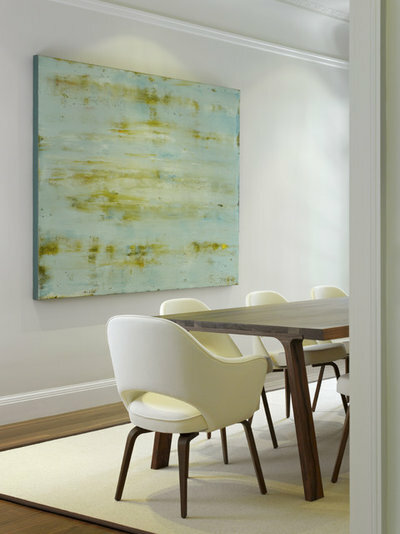 Photography looks best mounted in Plexiglas or acrylic frames. Dare to be edgy when using art photography. 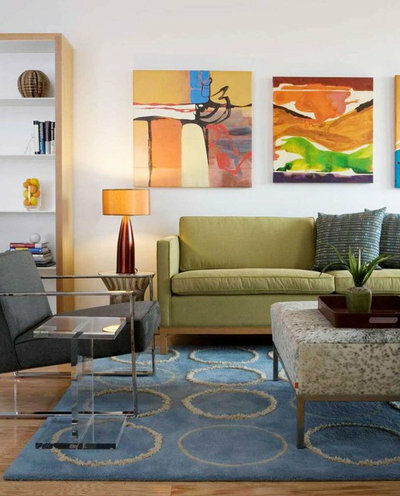 When hanging art above a sofa or another piece of furniture, like a credenza, keep the bottom edge of the frame 6 to 12 inches above the furniture. Large-scale pieces can be more expensive. 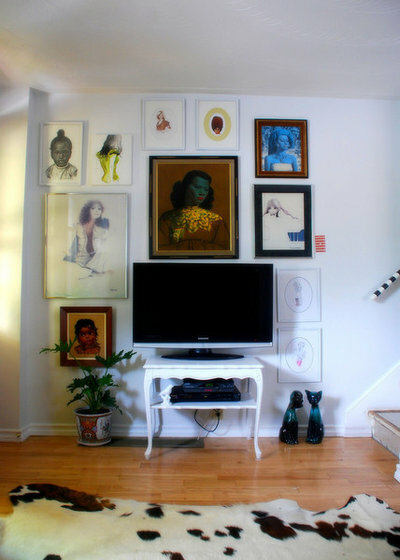 If you can’t make that type of investment yet, create a gallery wall of smaller printsgrouped together to take the place of one large piece. Reframe pieces you already own to give them a new life. For a budget-friendly piece, stretch a handsome, high-quality textile across a blank canvas or stretcher bars. A constant question is how to integrate a flat-screen TV into a design scheme. 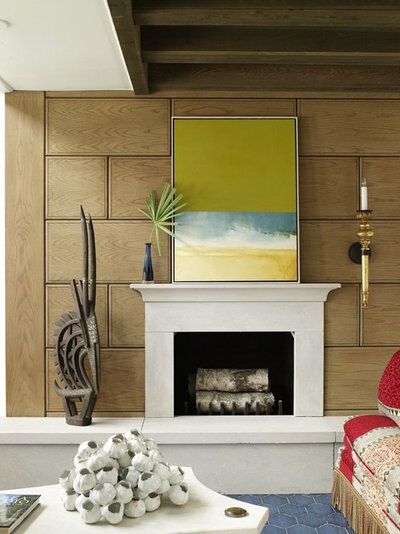 A lively gallery wall can help.